Will Make Beats For Food : The Corner Radio Hosted by Kil: How Important Are Record Sales In Hip Hop? 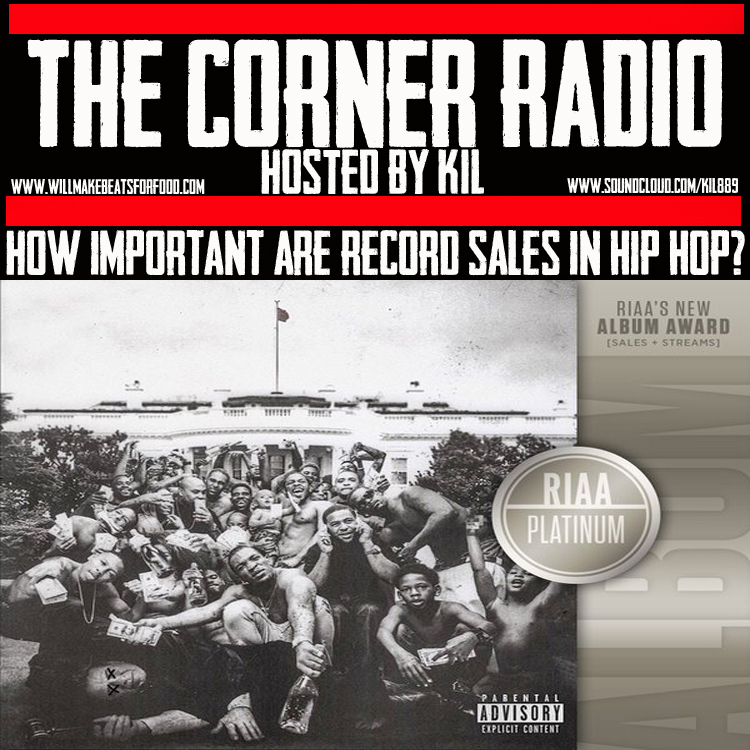 The Corner Radio Hosted by Kil: How Important Are Record Sales In Hip Hop? For this week's ep of my podcast The Corner Radio, me and my peoples Ev & Nick are chopping it up about the thin line between how record sales are looked at in hip hop, when was the first time we realized record sales were part of hip hop, how much does payola play a part in record sales and grammy nods, do grammy's only count when your favorite MC is nominated, should MC's in 2016 brag about how many records they've sold, how the new streaming laws are affecting record sales and royalties and somehow someway we get on Jay Electronica's "The Curse of Mayweather" song and how we feel about dude trying to dis Kendrick. ANOTHER dope ep ya'll!